I love some of those amazing cakes you see on Pinterest, but let’s get real. In high school, I dreamed of dating the cast of Swing Kids, but that was as likely as me pulling off one of those cakes. So when I post cake tutorials, they are intended for the frosting illiterate, like me. This one took a little prep work to pull together the pieces, but none of the steps were very hard and assembling it was ridiculously easy. 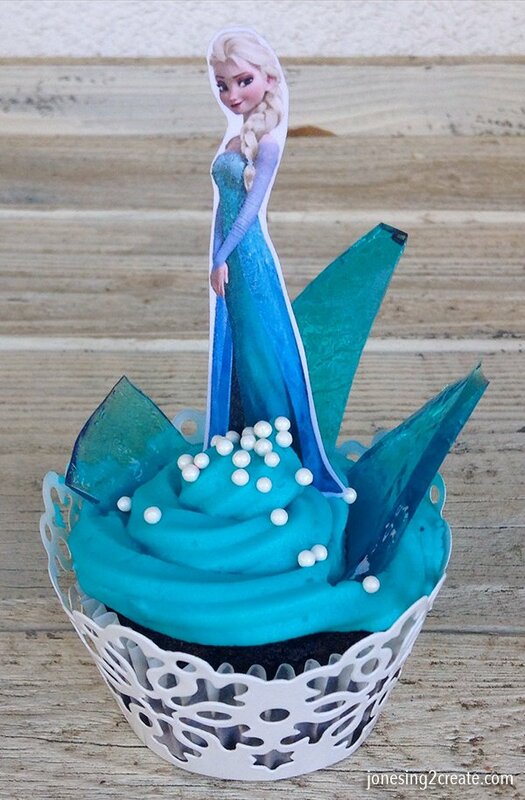 I found some Elsa cupcake toppers that I liked on Amazon, but I only wanted Elsa, so I decided to make my own on cardstock. I printed out this image so that they were about 4 inches high. I then used packing tape to carefully laminate over the top. It is a cheap and easy way to laminate small items and it made it so that the ink didn’t run when it came in contact with the icing. Once I had them all cut out, I just glued them to a toothpick. To make the “ice” from her ice castle, I made Elsa’s Ice Candy, which is basically hard crack candy. My husband said it would also be perfect for a “Breaking Bad” party. Haha! Once the candy set up, I broke it off into pieces that would fit well on a cupcake. To color the candy and the frosting, I used AmeriColor Soft Gel Paste Food Color . 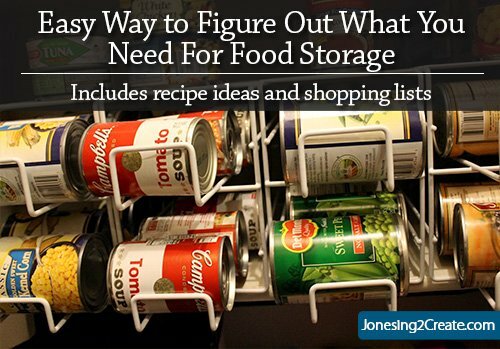 You only need a tiny bit to get really vibrant colors. They are my favorite food colors ever. I got the snowflake cupcake liners at Walmart, but you can also find similar ones on Amazon. I then got some white sugar pearls to sprinkle on top. Once I had everything together, it was easy to frost the cupcake with my favorite extra large frosting tip and then add the topper, candy, and sprinkles. If you are going to make these ahead of time, I would wait to add the ice candy until right before the party. The moisture from the icing “melted” the candy on some of the cupcakes and caused it to curl a bit. 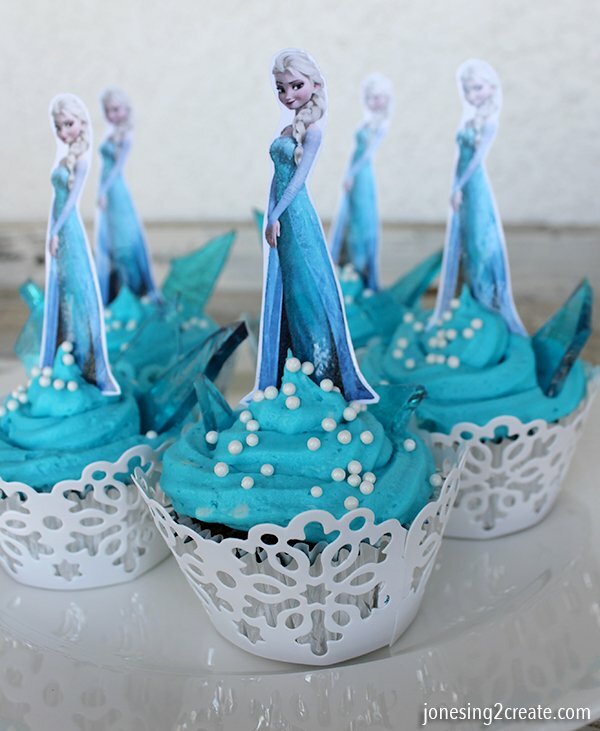 And before you know it, you have a whole army of little Elsa’s! Previous story Olaf pinata tutorial – Under $3 and made from a paper lantern!